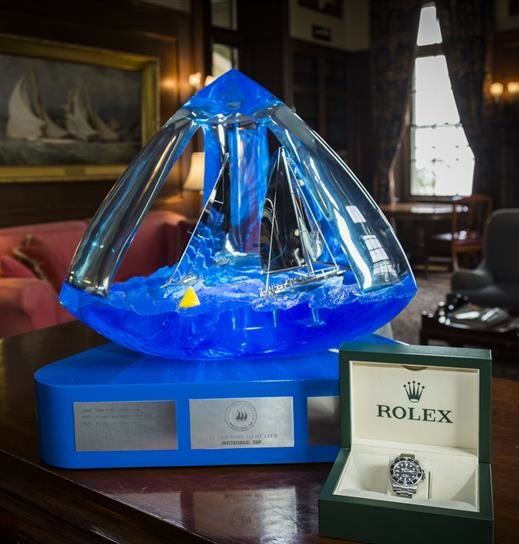 NEWPORT, R.I. -- This Sunday yachting enthusiasts and casual sailing fans around the United States will have a chance to experience from the comfort of their living room the excitement, drama and pageantry of the 2015 Rolex New York Yacht Club Invitational Cup. An hour-long program, produced by Emmy-winning producer Gary Jobson, will air on Sunday, October 11, at 5 p.m. (EDT), on ESPN2. An edited version of the program will air on Eurosport on Wednesday, October 14, starting at approximately 11:20 p.m. The fourth edition of this preeminent international Corinthian competition was the most exciting yet. After 11 of 12 races, every spot on the podium was still up for grabs and the final positions weren't secure in any way until the finish of the final race. "The biggest challenge in producing this TV program was deciding what to leave out," says Jobson of the hour-long program. "It was a tremendous regatta with numerous story lines. Every team had their struggles, every team found themselves in last place, or close to it, at some point. The ebb and flow of the competition was remarkable. The key attribute that distinguished the top teams was resilience." Jobson's use of aerial and on-the-water videography provides multiple perspectives of the racing action while on-board cameras allow the viewer to feel the intensity of the competition and appreciate the complex choreography of the crew maneuvers. The Royal Thames Yacht Club, from London, England, was the first club from outside North America to win the Rolex NYYC Invitational Cup trophy. The host New York Yacht Club team finished second, with Eastern Yacht Club's squad in third. The event's only first-time competitor, Middle Harbour Yacht Club from Australia, was fourth. Four-time competitor Japan Sailing Federation rounded out the top five. The RTYC, which didn't win an individual race in the regatta, averaged nearly a sixth place finish during the regatta—in a 17-boat fleet—and just five points separated second from fifth. ESPN2, the sister station to ESPN, is available in more than 94 million homes in the United States. Eurosport reaches 137 million homes in 54 countries in 20 languages. In the inaugural NYYC Invitational Cup presented by Rolex in 2009, 19 yacht club teams from 14 countries, from four continents competed. The second Invitational Cup in 2011 included 22 yacht club teams from 16 nations from six continents. Twenty teams sailed in 2013, while 17 competed in 2015. The Royal Canadian Yacht Club crew, skippered by Terry McLaughlin, won both the 2011 and 2013 events; the New York Yacht Club with skipper Phil Lotz won the 2009 event. Competitors must be Corinthian (non-professional) sailors and members of the yacht clubs they represent; they must also be nationals of their countries. 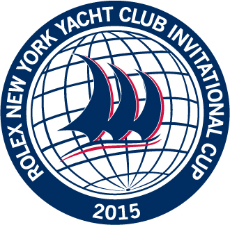 The 2015 Rolex New York Yacht Club Invitational Cup welcomed competitors from the following yachts clubs: the Royal Yacht Squadron (GBR), Japan Sailing Federation (JPN), Real Club Nautico de Barcelona (ESP), Royal Canadian Yacht Club (CAN), Royal Cork Yacht Club (IRL), Royal Hong Kong Yacht Club (HKG), Royal Thames Yacht Club (GBR), Yacht Club Argentino (ARG), Yacht Club Italiano (ITA), Royal Prince Alfred Yacht Club (AUS), Royal Swedish Yacht Club (SWE), Eastern Yacht Club (USA), Itchenor Sailing Club (GBR), Middle Harbour Yacht Club (USA), Newport Harbour Yacht Club (USA), Seattle Yacht Club (USA) and New York Yacht Club (USA). The U.S. Qualifying Series (USQS) is held in even-numbered years and serves as the opportunity for three yacht club teams from the United States to earn an invitation to the following year's Invitational Cup. Larchmont Yacht Club won the 2012 USQS and finished a close second to RCYC in the 2013 Invitational Cup. Newport Harbor Yacht Club won the 2014 USQS and will be competing in the 2015 Rolex NYYC Invitational Cup. Photo credits: © ROLEX/Daniel Forster. 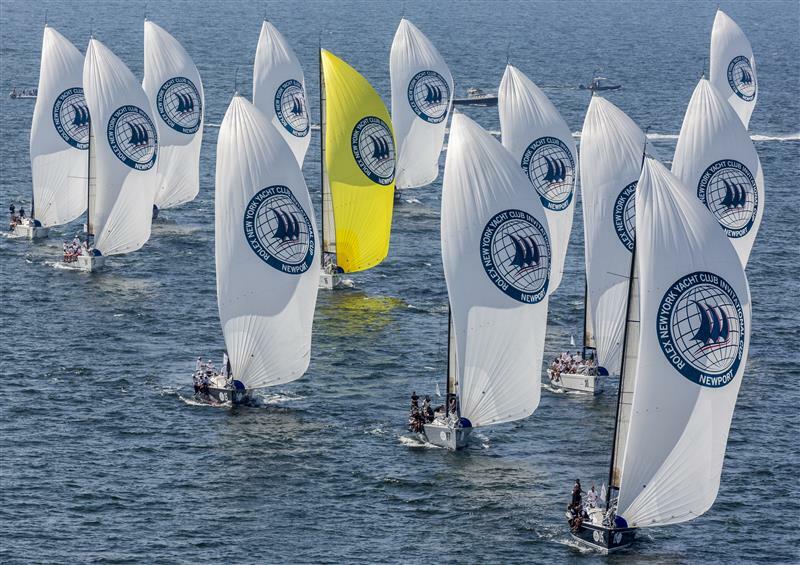 For rights-free imagery from the 2015 Rolex NYYC Invitational Cup, click here. Registration is required.